From the many parts of the body that a wart can develop, perhaps the ones growing on the face is one of the most delicate and sensitive to deal. And it is hard to conceal and hide as well, which can be a huge blow to your self-esteem. 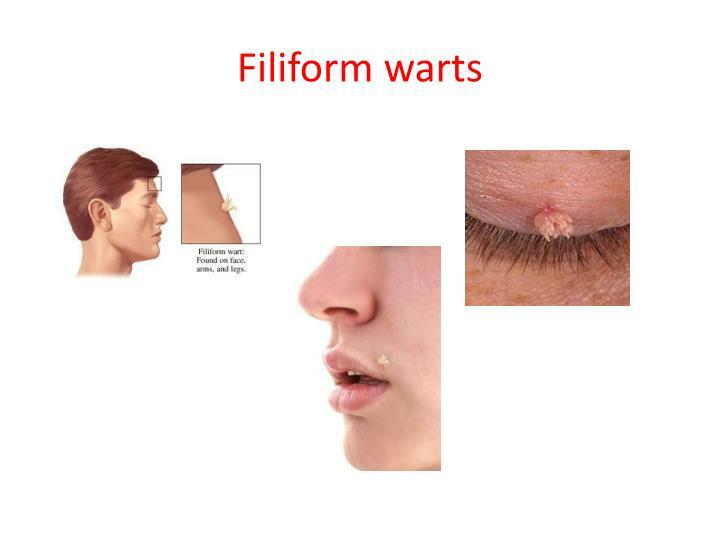 How to get rid of warts on the face can be tricky considering most treatments are strong and not advisable for facial use. While it is not an option to leave it untreated, here are the steps you can do to remove these warts off from your face. Salicylic Acid - There are several over –the-counter products with salicylic acid that are for the removal of warts available for use. Tretinoin Cream - By trying other option, or if the salicylic acid fails to take the stubborn wart off, this cream, which is also called retinoid cream is available over-the-counter as well and is also an effective cure for warts. Warts can be a real nuisance. Aside from the fact that it is not a beautiful sight in any part of our body, it is even worst to have it on our face because it is more visible and noticeable. And as much as we don’t want to have it, it seems terribly difficult to avoid it sometimes because some causes can be quite uncontrollable and inevitable. Thus, on those occasions, what we can do it is finding ways on how to get rid of it. What makes facial warts more complicated to cure is the fact that our face is more sensitive compare to other parts of our body. That being said, some treatments may be too harsh and may irritate the eyes or the skin itself. Before we go to the process of getting rid of these annoying warts, here are some tips to help you to make sure the process will be smooth sailing. Don’t apply those treatments with harsh chemicals and acids on warts that grow near your eyes. Be consistent in the application to achieve fast results. Make sure to use it regularly. Remember that these warts cannot be removed in an instant. Read labels and be informed. Be mindful of the product ingredients, as you may be allergic to it and be aware of the possible side effects. If unsure, consult your doctor or seek professional medical advice. These are small, grainy skin that is rough to touch, which grows mostly on your fingers and hands, but may occasionally appear on your face as well. This wart is called such because it has flat tops. It is small like a pinhead, and smoother to touch as compared to other types of warts. It might be hard to notice because it is almost similar to the color of the skin is pink, light brown or yellow. And they come in clusters. Usually grows around the eyelids, face, neck or lips, these warts appear to be long, narrow, and flesh colored growths. These can be truly annoying as they can grow quite rapidly. Wash the infected area including the skin surrounding it. Then make sure to dry it off after. Apply the salicylic acid as per the instructions on the box. Usually, you will take a portion of the liquid and put on the wart. Then secure it with a bandage. Leave it for some time, which normally take 24 to 48 hours, depending on the direction of use. Making sure it remains intact the entire time is important. If it falls off, replace it with another application. After the allotted time, remove the bandage and wash the acid off, taking the dead skin out. Then apply the salicylic acid again, following the same procedure until the wart comes off completely. This is usually considered when salicylic acid did not work entirely. You will need to have your doctor apply this to your wart, though. It works as a blistering agent, lifting the wart off your skin and starts to come off when the blister dries. Your doctor will remove the wart and the dead skin. Note that if on the first treatment, the wart did not go away, another process may be applied. Tretinoin removes facial warts by disrupting its cell growth. It is used to cure acne and aging skin as well. To apply, you have to follow the expert’s directions to avoid any harm as excessive use of it can lead to serious skin irritations. Rub the retinoid cream directly to warts. It should be applied daily to achieve the desired outcome fast. If the aforementioned treatment did not work or if you are very adamant to remove the facial wart and wants a quick cure, then you might want to try this cryotherapy. Though you still may require a couple or more of application of this depending on the severity of the wart, applying it may only take a minute or less. It is possible to do this at home. However, it is advisable to see a doctor to avoid risks such as scarring and possible infection. The process is painful as well that may last for few days. Or the doctor can put the liquid nitrogen using a cotton swab after he trims the wart. If all possible home and doctor’s treatment options were exhausted but still unable to remove warts entirely, you may need to resort to surgery. Quick and effective, there are three types of surgery for the wart removal, which are performed depending on the location, size, and severity of the wart. This option should, however, be considered for extreme and isolated cases such as when the wart is causing you pain and keeps coming back. This surgical procedure has been used to remove wart for a long time. The wart including its roots is scraped from your skin using a sharp knife. It is possible that the wart may not be fully removed the first time, hence succeeding procedure may be required until it is taken out completely. For this method, a wart is dried out and burned through high-frequency electric current. Curettage usually follows this procedure to complete the removal process. Wart tissue is destroyed with the use of an intense beam of light to remove the wart. What do you think of these steps? It is truly irritating and frustrating to have these warts not only because it is unpleasant to the skin, but also because removing it can be difficult and complicated. It is a challenge to find a product that will work effectively especially on the sensitive areas such as the face. With these steps, we hope you can find one to cure it, and stick with it, as these facial warts can be stubborn that it may pop up again anytime. Had you had any experience with these facial warts too? What steps did you take? Comment below as we love to know all about it. And please share if you find this article interesting.